Welcome to SaveTheDome. The physical dome has now been dismantled and most of the pieces were returned to CONUS. The very top is displayed at the SeaBees Museum in Port Hueneme California. A handful of panels have made their way as souvenirs into the hands of private collectors. The rest of the many tons no doubt have been turned into beer cans, foils, window frames, kitchen utensils, maybe even an airplane. But the memories still burn brightly, of the souls who summered and wintered, toiled and idled, ate drank and slept under the protective cover of the geodesic dome which once claimed a lonely patch of ice on the bottom of the planet. 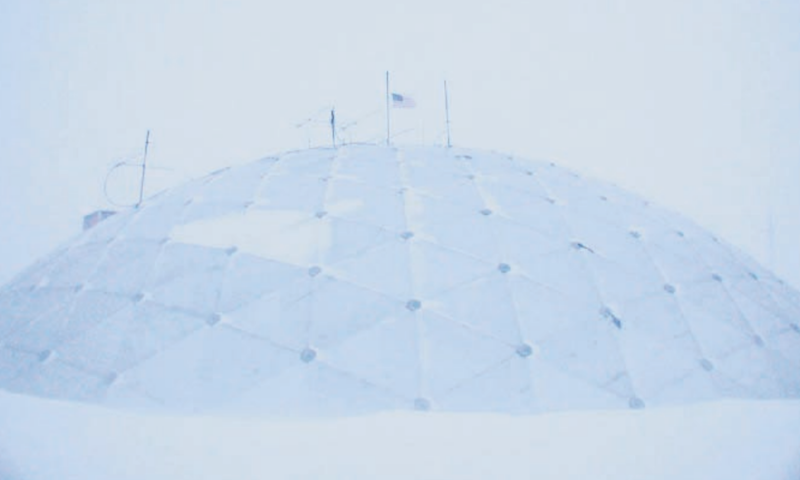 This is a site for those fortunate souls who have spent time under the protective cover of the Amundsen-Scott South Pole dome. The dome no longer stands proud at the intersection of all lines of longitude, but it lives on in memories and stories and lore, some of which is captured here.